← A Little R & R….. I know exactly what you mean. I blame The Sweet Shop for launching my journey to being overweight. When I had those stores and had the aroma of that candy around me every day, it was hard to resist. Chocolate not only tastes good, it *smells* good. Sweet post, Anna! 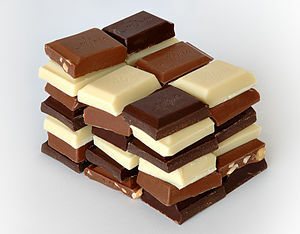 =) Seriously, I am a devoted chocoholic. I stand proud that when I am hunkering for a bit of my favorite milk chocolate that I do not deny myself one bit. Hi, Christine, and thanks for stopping by and posting. 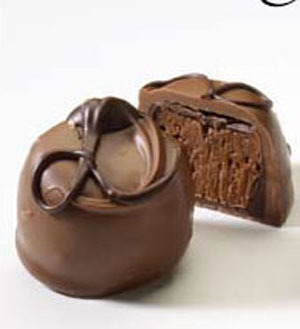 As a serious chocoholic, you really should try The Sweet Shop candy if you haven’t already. I don’t know where it’s sold these days, but it used to be sold in department stores and specialty shops and even in kiosks in malls. If you live anywhere around Fort Worth, there is a company store in southwest Fort Worth. This isn’t intended to be an advertisement for The Sweet Shop because I no longer have a connection to them whatsoever. I just like their product. When I was in the business of selling candy, I sampled many chocolates and I never found one I thought was better.